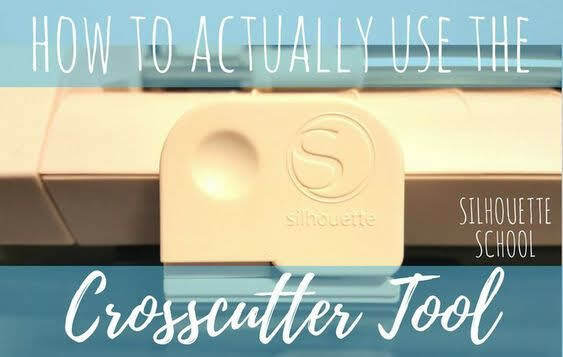 Silhouette CAMEO Cross Cutter Tool Tutorial...So THAT'S How You Use It! 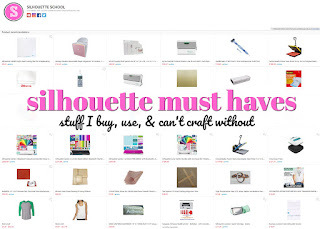 The Silhouette Cross Cutter Tool is one that has always boggled my mind. 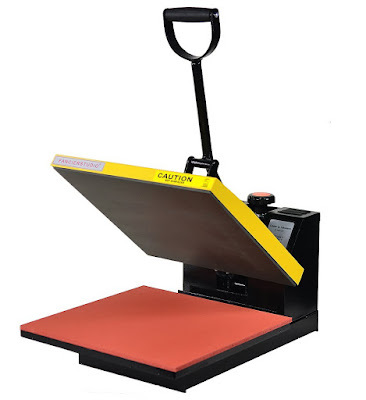 I had half-attempted to use it a handful of times, but never really understood what it would be useful for....plus it always seems to tear my vinyl. I mean, who needs to cut the vinyl at the back of their machine? 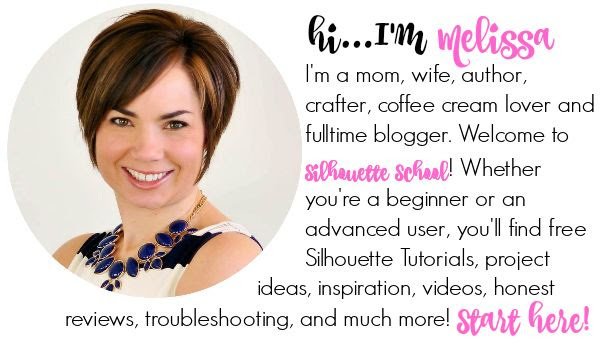 That's why when Silhouette School weekly contributor Becky Dykes asked me if I had a tutorial already on how to use the cross cutter with Silhouette I basically just laughed and said, "I don't understand the use for that tool." Thankfully Becky and I were in the same boat - but she was ready to tackle this one and figure out exactly how to use the Silhouette CAMEO cross cutter. Call me dense, I'm sure the answer has been out there floating around for a while, and if I had realized just how useful it would be, I would have researched this sooner! My chief complaint was that the vinyl did not eject far enough out the back of the Cameo for me to use the crosscutter without cutting into my design. 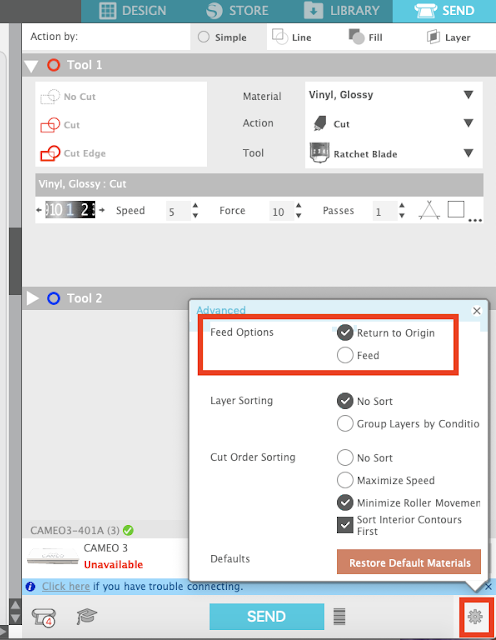 So to explain the crosscutter tool, we have to look at the options that cause it to work correctly. And when I say correctly, I mean to my benefit. It's also important to note that the cross cutter is only useful if you are cutting materials without a mat. First, I keep my crosscutter tool hidden away in the little cubbie on the side of the machine. I've heard some say that this cubbie is actually for hiding your M&M stash, which is a great idea, but without this nook, I'd surely lose the cross cutter within a few days. If you haven't experimented with your crosscutter yet, there is a track on the back of the machine that the crosscutter fits into perfectly. So this is the part I was getting to, that my vinyl did not eject far enough back for me to use the crosscutter. But all of that changed one day when I stumbled across a few advanced settings in Silhouette Studio. Click the Send panel and then the gear at the bottom right. That's where you'll find the Feed options. The Feed Options tells your Cameo what to do once the cut file is through cutting. The default is to "Return to Origin". But today, we are going to change this to "Feed". After choosing "Feed", you'll notice another options appears called "Additional Advance" which is defaulted to 0.00. Take a look at the illustration below. The red line indicates where my crosscutter would normally cut (we'll expand more on that in just a minute). By defaulting to 0.00 in the cut settings, the machine only advances to the end of the cut design, leaving no buffer room. By increasing the Additional Advance to a higher amount (I chose 0.100), you can give your crosscutter a little wiggle room. 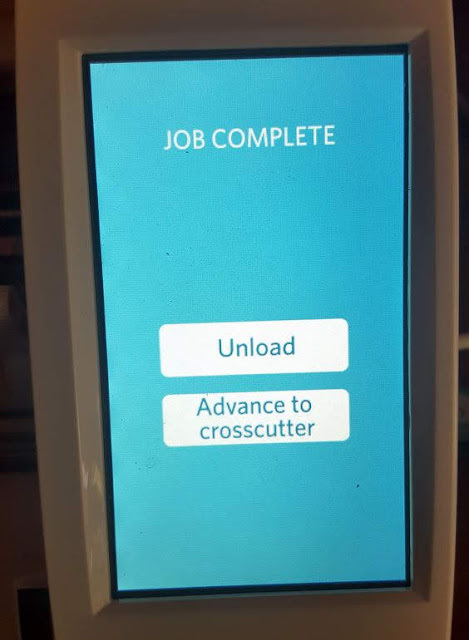 Your crosscutter tool is actually activated right after you cut a design. At the end, right before you would unload your material, you have a choice to Advance to Crosscutter. 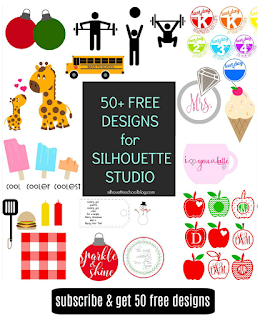 Once you have your settings in Silhouette Studio AND you have cut your desired file, choose Advance to Crosscutter on your machine. 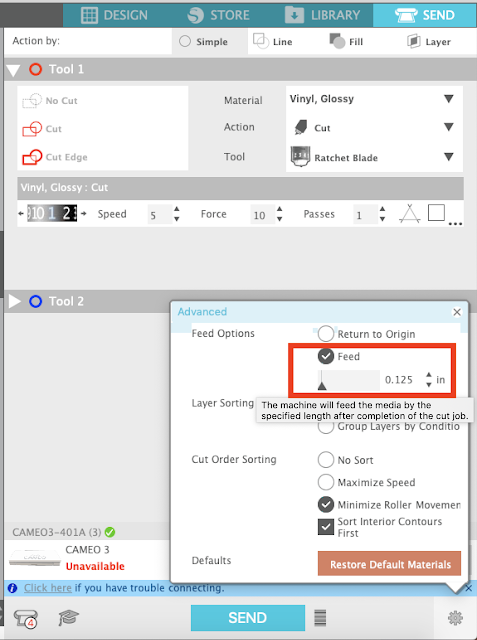 Your Cameo will now feed your material (with the cut design on it) through the back of your machine PAST your cut design and to your designated "buffer" cut line (depending on the amount of buffer you chose in the Additional Advance). 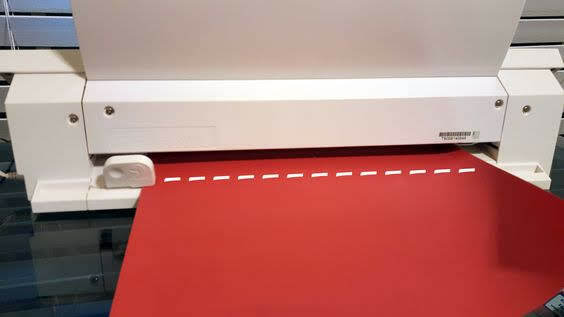 It will cut in a straight line if you don't already have a paper trimmer. 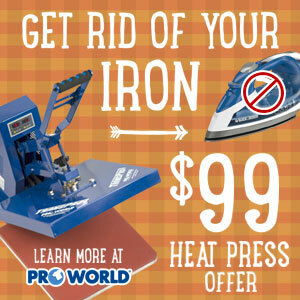 It's quick and painless if used correctly. Most importantly, it can trim your material close to the design without the fear of cutting into and ruining your piece. This is especially true in those hard-to-see HTV lines! So give it a try! After working out a few kinks, I think you'll find that the Silhouette Cross Cutter is a handy little tool. 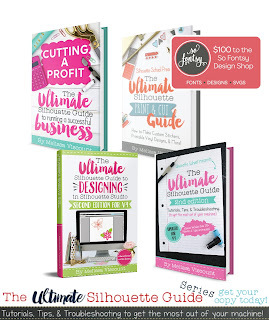 Also, if you are cutting, let's say 10 identical designs, you just send to Silhouette, cut the design, cut of the design with the cross cutter, aaaaand repeat. You won't have to reload the material for each piece, just send again. MIND. BLOWN! I always wondered why that track was at the back of the machine and would always try to cut using the cutter tool on the front of the machine! Hahahah! Life changer....well...maybe not LIFE CHANGER, but DEFINITELY a helpful tutorial!! Thanks! Is your new setting saved or do you have to change it each time before sending to Silhouette? I have the older cameo, but use my cross cutter all the time with my roll feeder after I unload my design. All the newer features, like this and the dual blade are convincing me I need to upgrade soon. I can't seem to find this on mine. What release are you using? Thanks! I have searched for this info before and could never find out how to make it advance. Wish Silhouette provided more tutorials for this type of thing, so thanks for doing this!! I never seen this tool, did it come with the cameo? I've never seen this tool nor does my cameo have a cubby on the side. Am I missing something or did I just waste my time trying to understand something that doesn't apply to my machine? The tutorial says it's for a silhouette cameo????? It would be very helpful if you would identify from now on, which version of the cameo you are doing the tutorial for. With the "3" now out, most of us don't have it, and will be wondering which machine you are referring to. I, like another poster, am wondering if this tool came with our Cameo when we purchased it? Totally confused also. Which Cameo does apply too?? Did the cross cutter come with the Cameo or is it an additional piece? I've never used vinyl as it has intimated me. Didn't know about the side storage either. 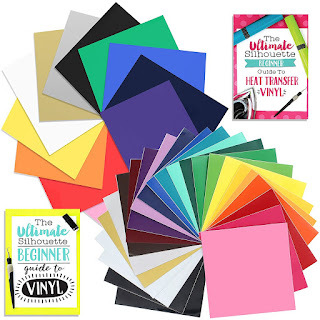 Going to look today and maybe even play with vinyl now that you have shown us so many good tutorials! Thank you! Good to know but again please post which cameo this refers to at the top, as my cameo doesn't have it. OMG! I had no idea this was even remotely possible! Thank you so much for all your hard work to make our lives easier! Where do you get the cross cutter? I found the little hidden door thanks to your tutorial and the track in the back of my Cameo. I had no idea they even existed. Thank you. 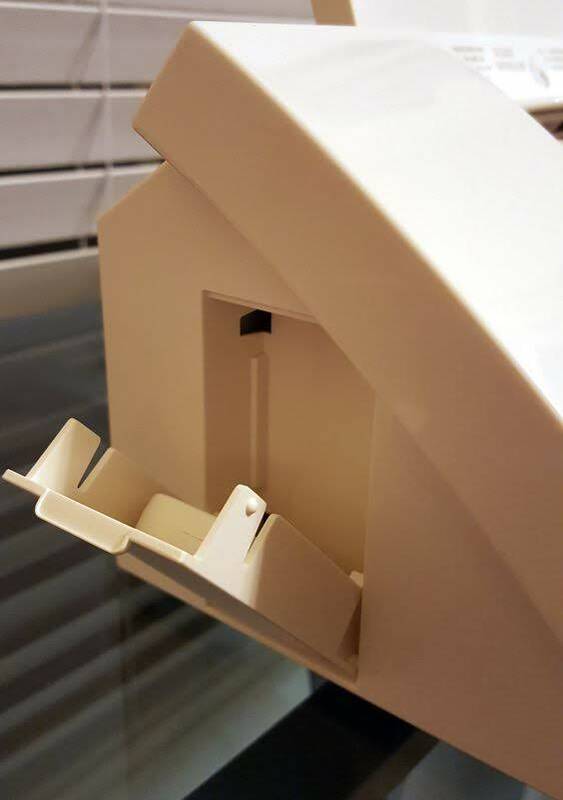 It also saves the machine being ejected through the front and some of the vinyl pieces lifting and getting caught. Is this a separate add-on to my original Cameo?